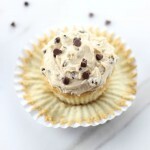 Vanilla cupcakes with a chocolate chip cookie dough center, and chocolate chip cookie dough frosting! 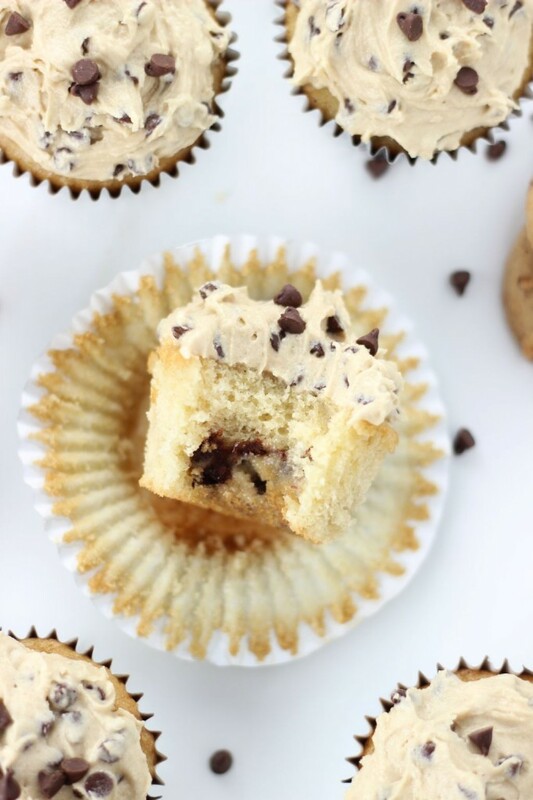 These Chocolate Chip Cookie Dough Cupcakes are insane with chocolate chip cookie glory! Last, but not least. 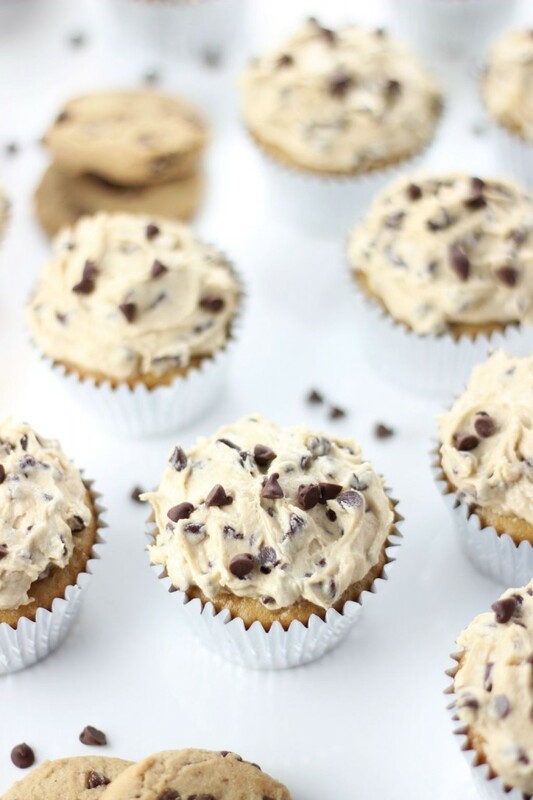 These Chocolate Chip Cookie Dough Cupcakes cupcakes. It’s impossible to tire of brown sugar, butter, and chocolate chips, right? However, it feels just a smidge, but only a smidge, too soon to share pumpkin recipes. 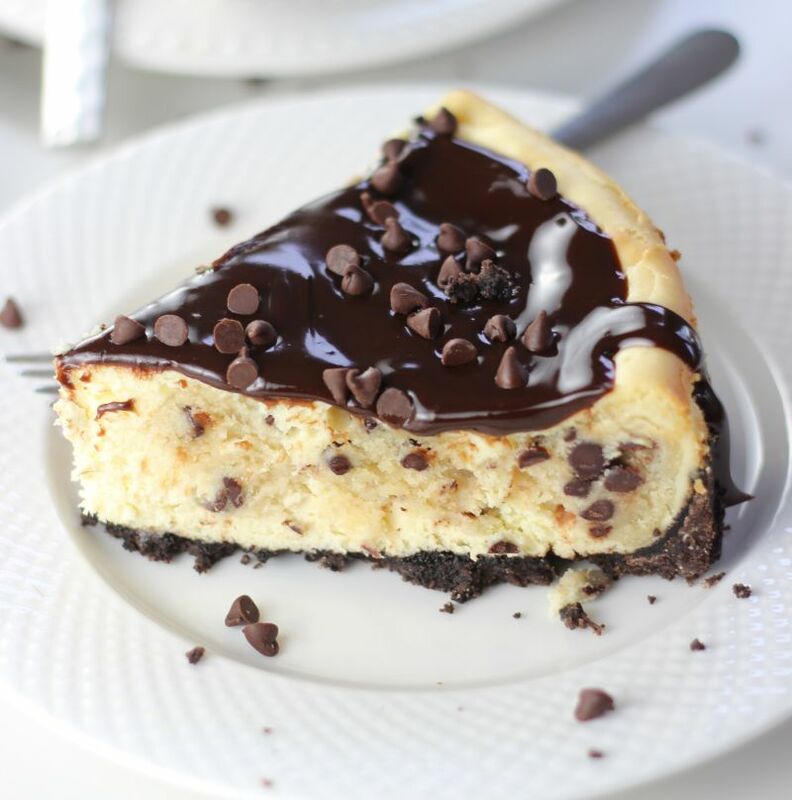 I got on a serious roll with chocolate chip cookie dough desserts, as my tendency is to beat something to death, and then I thought these would be good neutral recipes to fill an awkward seasonal shift. And I purchased 4,967,458 fall candles from Bath & Body Works that all claim to contain pumpkin fragrance as one of the notes. All of this having nothing to do with these Chocolate Chip Cookie Dough Cupcakes though. Movin’ on. These chocolate chip cookie dough recipes all share the same basic proportions for the dough. And they all require that the dough be scooped into balls. 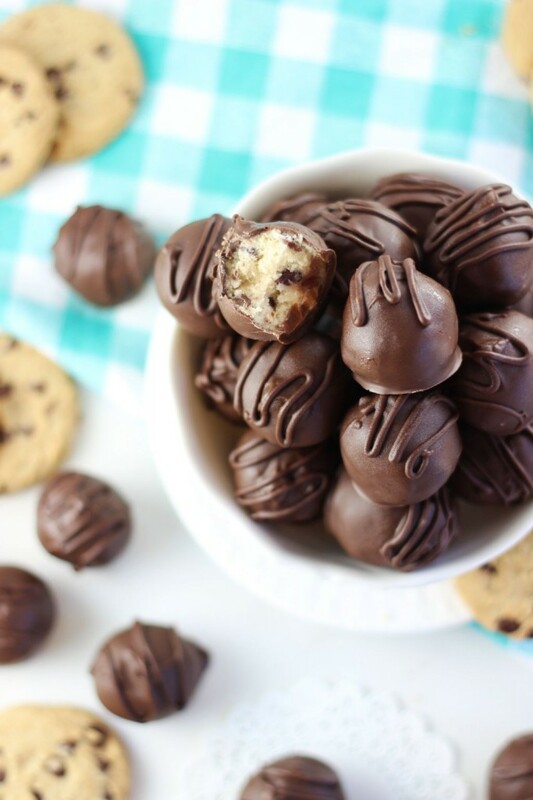 A suggestion: if you want to make any of the three, make and freeze the chocolate chip cookie dough balls ahead of time so they are teed up and ready to go. Your worst case scenario is that you have safe-to-eat chocolate chip cookie dough balls in your freezer just sitting there, but that you can enjoy at your every whim. Yes, that’s your worst case. Not a bad “problem” to have. Best case: you have much of the prep work done for making any of the three chocolate chip cookie dough desserts. Convenient, no? 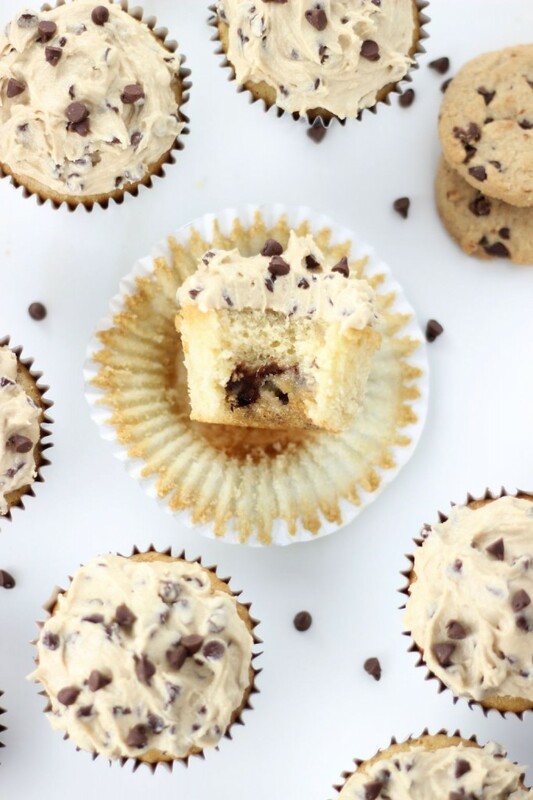 These Chocolate Chip Cookie Dough Cupcakes are simple vanilla cupcakes (*cough*, cake mix), and all I did was gently set a frozen chocolate chip cookie dough ball right on top in the center. That’s it. Bake them according to box instructions. The cookie dough melts some, sinks a little, but stays mostly cohesive, so you have a big hunk of chocolate chip cookie dough in the middle of your cupcake. Yum. It gets better. So.much.better. The frosting is chocolate chip cookie dough frosting. Essentially, more brown sugar, butter, and chocolate chips. The frosting ingredients are not all that different from the cookie dough, but different proportions. 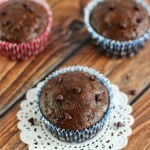 The frosting is very fluffy and airy, without losing any of the richness or flavor of a chocolate chip cookie. It’s not wrong to consider a total chocolate chip cookie dough buffet. You should definitely do that. 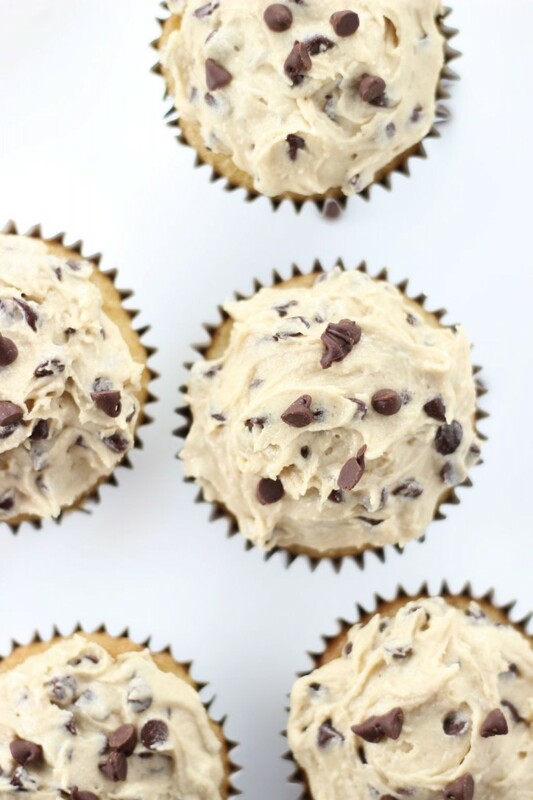 Vanilla cupcakes with a chocolate chip cookie dough center, and chocolate chip cookie dough frosting! In a small mixing bowl, combine butter, brown sugar, sugar, flour, and powdered sugar, and beat until well-combined. Scoop the dough into 1-inch balls and place them on a lightly greased baking sheet. Freeze until solid. Overnight is best. Prepare cake mix according to package instructions. For me, this meant combining the cake mix, water, oil, and eggs. Place paper liners in 18 muffin cups. Fill them 2/3-full with cupcake batter. 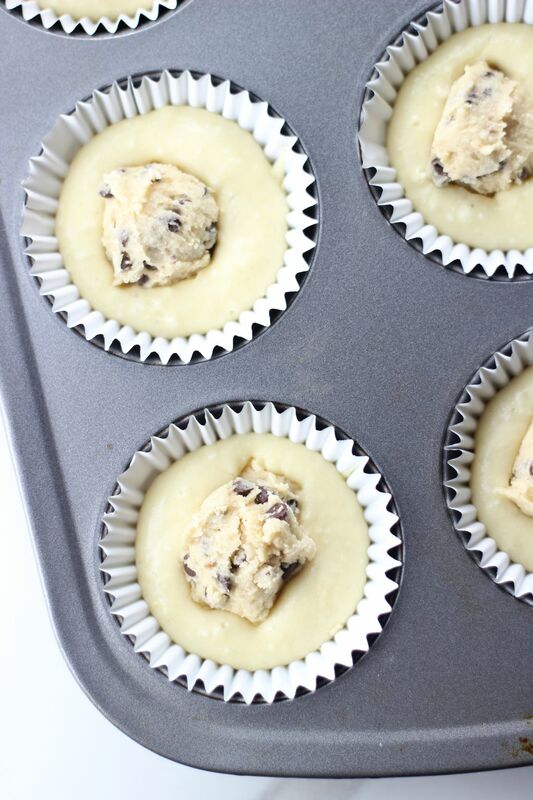 Place a frozen cookie dough ball gently on top of the batter in the center of each muffin cup. Do not press it down or cover it with batter. It will sink a bit as the cupcakes bake. Bake at 350 degrees for 18-22 minutes, or until the edges are golden brown, and a toothpick inserted near the center comes out clean. Cool for 15 minutes before removing cupcakes to wire racks to cool completely. In a large mixing bowl, cream the butter and brown sugar, beating until fluffy. Add water, adding more if needed to achieve desired consistency. Store cupcakes in refrigerator. Enjoy! Yum yum yum! Love the chocolate chip cookie dough all over these cupcakes 🙂 Pinning! 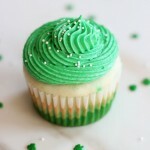 These are the best kind of cupcakes! They look so delicious! Oh man these are intense! I made some cookie dough cupcakes once, and I may or may not have had 4 in a row. I need to try yours soon! Hahahaha!! They are hard to resist. 4 in a row sounds about right for a cookie dough cupcake! I will check out your version too! These look so awesome Sarah! Pinning! These look divine! 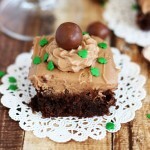 I love adding chocolate Kisses or Rollos to chocolate cupcakes so I can just imagine how good a little ball of cookie dough tastes! That frosting looks out of this world, too! Whaaaaat?! Not a fall person? CRAZINESS! Haha, kidding, of course. I totally get it. Here in Florida, it means that cooler temps are finally on the way though, so I definitely look forward to it. Though I’ve always sort of loved it anyway!! Summer recipes are still on my radar too, but the rest of the world has moved on without us! Lol! Frozen strawberry pie sounds FANTASTIC! Another great recipe! These look delicious. Thanks for sharing on Snickerdoodle Sunday. Pinned and Tweeted. Cookie dough icing?! 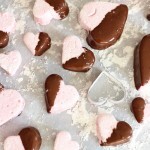 Oh I must make these, and soon! Sorry you didn’t like the frosting – we loved it! Tasted like cookie dough to us, and that’s what we wanted. Thanks for your feedback. They all look very good to me and I wish I could eat them all ! I could make some for my dad and grandkids and grown kids also. Do you think this recipe could be adapted into a cake? Hi Erica! Great question – I have never tried that. I think if you did this in cake form, it should be fine. Just know that the dough balls sink, and you’d want to not press them down at all. Set them on top of the batter completely. Were you thinking a 9×13 pan? Or two 9-inch rounds? You could end up needing extra frosting if you do a cake, but I think the cake part itself would be fine! I have made icing with brown sugar before and to me it leaves a gritty feeling. Does this recipe do the same? Yes, it kinda does! If you want something smoother, I wouldn’t go with this recipe, unfortunately. It’s really a lot like raw cookie dough, but fluffier and lighter. Raw cookie dough has a bit of grit because of the sugar…. Is there anything else I can help with? Are you looking for a particular type of frosting? This sounds scrumptious, but does the icing REALLY have flour in it? I do not believe I have ever seen a frosting recipe that called for Flour. I know it sounds odd, but it really tastes like cookie dough, and it’s still a light and fluffy frosting! If you don’t like the idea of it, you could make a smaller batch of frosting to test it out, or maybe there are other cookie dough frosting recipes out that without flour! 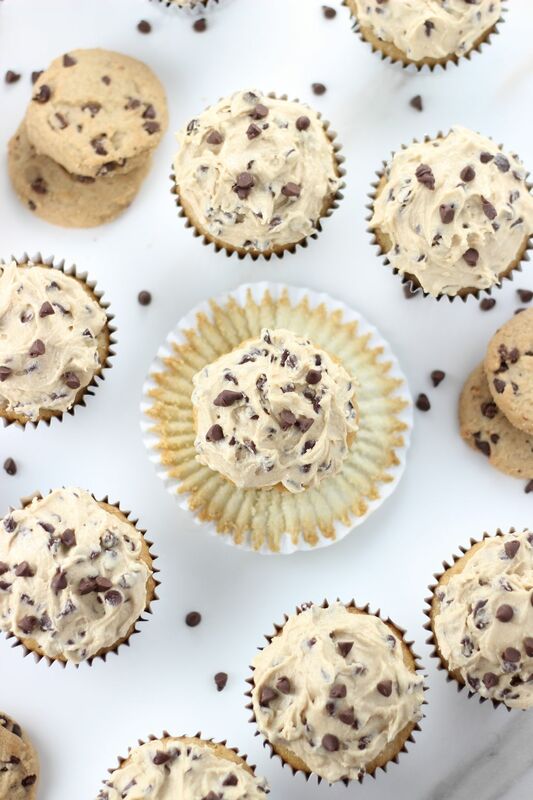 Either way, if you like cookie dough, the cupcakes themselves are amazing. You could do chocolate frosting instead? Thanks, Tammy! The flour you have in the cookie dough, is that self rising or all purpose?